Do things right the first time!!! Although it may seem more costly or time consuming, it’s always better in the long run. Well there’s the catch right there—the long run. This powerful little axiom has come up repeatedly over our 40 some years together and you would think, that we might have picked up on it, say . . . 2-3 years into things. But no! We decided to learn about quality the hard way—over time. But, we finally learned our lesson! I have to admit that there’s something devilishly compelling about procrastination and taking the easy way out. But thinking that way has certainly gotten us into some real trouble over the years. For example, some 17 years ago, we bought this house. She’s over 100 years old now, so we nabbed it with the intention of remodeling. Okay, we had to! She was already penciled into someone’s demolition schedule. We simply couldn’t let that happen. So we bought the house and began some serious roll-up-your-sleeves work. Needless to say, having purchased a house in California meant that we Mid-westerners were in over our collective heads. We dreamed in $$$ signs. So we cut corners where we could, and prioritized necessities vs frills. 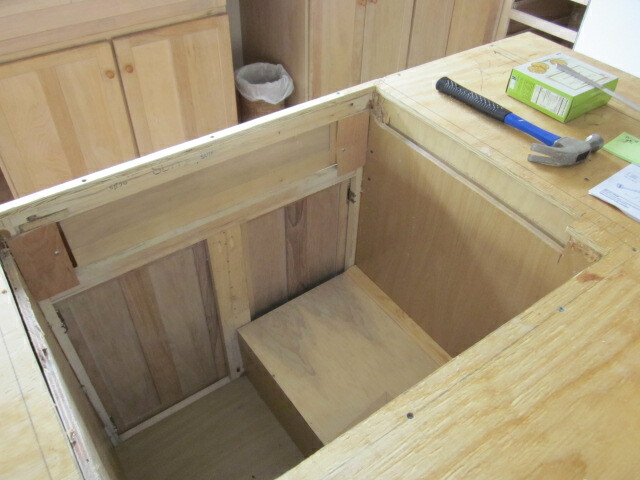 Those decisions mean that now we’re in the process of tearing out parts of the original kitchen we put in. After years of wear and tear, our frugal choices meant that less expensive things just start breaking down. 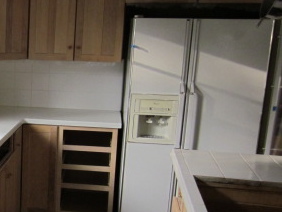 An appliance here, a tile counter there and before we knew it, things were barely hanging together anymore. So after years of consternation (and saving) we finally decided to replace the old tattered things with new and improved ones. We love this old house. 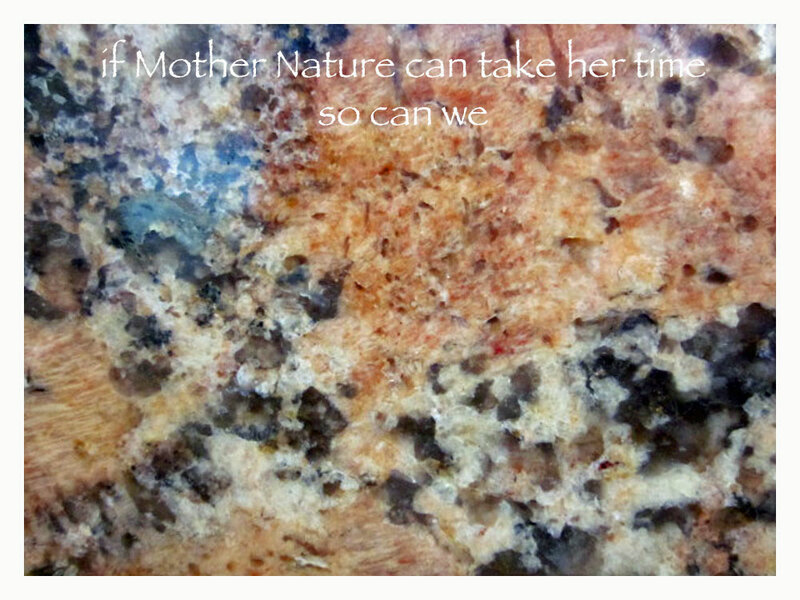 She’s a natural beauty, so we decided to replace our synthetic counter top with stone, since it’s all natural and better environmentally. (We’re ignoring the fact that it had to travel half way around the world to get here—California is a granite-less place.) We’re also now claiming a new era of pro-activity that requires fixing things before they break, rather than after. That’s not normal for us, so it’ll take some getting used to. But the rationale works so we’re all over it. 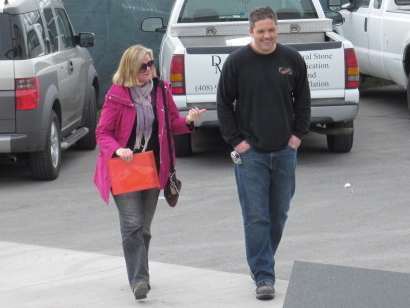 We inquired at the local stone shop and the recommendation was immediate and singular: a stone fabricator in San Jose— Della Maggiore. With an Italian name, the company had to be good! Looking at slabs of granite was fun. It felt like we had found a little piece of Italy right here in our own back yard. Then, a young man walked up and introduced himself as Patrick. He looked remarkably like Ben Affleck. He was soft-spoken and friendly. We struck up an immediate rapport. He told us that if they didn’t have what we wanted, he could find it—and he did. Within days they were tearing out the old tired stuff and preparing for the installation of real rock—incredible, after all of those years! In the meantime, we’ve been cooking with an electric teapot, a crock-pot and an electric skillet. Food prep has been pretty easy, but dirty dishes have to be carried on a tray upstairs to wash in the only interim sink big enough to handle the job. We put the clean dishes on a second tray, lined with a dish towel, and carry them back downstairs. But in addition to the stone in the kitchen, the bonus was our little imaginary excursion to Italia to pick out the stone. The team at Della Maggiore was top-notch (Patrick, Bill, Josh and crew) and we enjoyed the opportunity to work together on yet one more shared project. What more could you want? We’ve concluded that there’s probably really no such thing as the perfect solution to anything. After all, quality has as much to do with the process and what happens along the way, as it does with the final product. 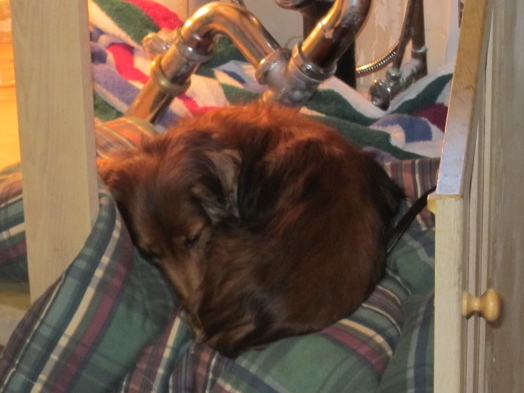 Our little doxie Abby even had a great sleepover in the sink base during construction . . . now that’s process! Satisfaction is really making the best choice at the time, given the circumstances. And you know the feeling when something’s right for the times. It’s intuitive. Well maybe in this case, it’s “counter” intuitive. 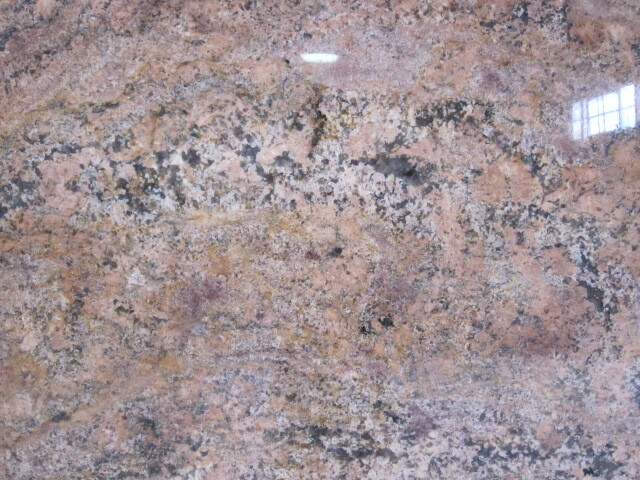 Granite: love it. Looks great, works better. Pull a pan from a 450-degree oven and you can set it right on the stuff. I roll out pastry on it, though I’ve never mastered pie crusts. It ties with our cork floor as my favorite things from our 2000 kitchen redo. Enjoy!